Guilt. I am showered in guilt. Are you aware that Madison, my good ‘ol hippie-eclectic-vegan-friendly-liberal-granola-indie hometown, boasts but one fully vegetarian restaraunt? Are you also aware that since the birth of Farmers Market Vegan an entire three months ago, I have not yet reviewed or even patronized said single establishment? Instead of diving into the accepting open arms of the 90% vegan Green Owl Cafe, I’ve dined at veg-friendly, though still omnivorous, eateries throughout Madison: sometimes enjoying a wide array of vegan dishes from a designated menu page, on other outings forcibly opting for the only vegan item on the menu, or occasionally telephoning more highbrow restaurants ahead of time to request a special vegan entree for the chef to formulate. Often with the latter two restaurant experiences, a sense of selfishness encapsules me for demanding a meal free of animal products from a kitchen stocked with Wisconsin beef. But then I remind myself that I hold a firm ethical, healthy, and compassionate standpoint on my eating habits and I should have the liberty of enjoying a delicious restaurant meal too, damn it! Images courtesy of Isthmus Magazine. However, at the Green Owl, my inquietude of burdening the chef slips away as I dine happily next to a kitchen full of kale, quinoa, tofu, and soy milk. The adorable kelly-green walls, owl figurines, and cartoon depictions of vegetables as hanging artwork only contribute to the sense of welcome and belonging forged by the astoundingly friendly staff. Even the menu is whimsically owl-themed! Too cute. Both Connor and I began our meals with the daily soup special of Chickpea Chili. I eagerly ordered a bowl, ravenous from my 75-minute Power Flow yoga class, while Connor opted for the more moderate cup portion. A thick, rich tomato base surrounded (dare I say…) meaty chunks of chickpeas, kidney beans, succulent tomatoes, and hintingly sweet red peppers to create a surprisingly complex blend of flavors. I would have happily devoured three more bowls of the hearty, warming stew. Craving a dish I had not previously sampled at my numerous prior excursions to the Owl, I zeroed in on the Santa Fe Salad—mixed greens with roasted red peppers, corn, red onion, seasoned beans, scallions, tomato and avocado slices with a creamy jalapeño-lime dressing. The menu specifies a substitution for vegan ranch instead of the jalapeño-lime, but our waitress joyfully informed me that the kitchen had recently adapted the tangy dressing into a vegan recipe. The blend of crisp romaine and tender yet sharply flavored arugula formed a playfully textural salad base for the cleanly southwestern flavors atop. While the tomatoes tasted a bit insipid, I’m debating whether or not the wonderfully toothsome peppers originated from a jar or had been roasted in-house. I also wish the salad had featured more avocado and sweet corn, but the perfect coating of dressing led to my forgiveness of their small role. And how on earth do you expect me to journey to the Green Owl without ordering a side of their fabulous kale chips? With a spot-on crunchy texture, these leafy snacks always delight me, though for some reason this particular batch didn’t offer that same spicy kick that the Owl’s previous batches have. Connor chose the BBQ Jackfruit Sandwich, designed to resemble pulled pork, topped with a creamy vegan coleslaw on a ciabatta roll with a side of roasted potatoes. He verily enjoyed his entree, commenting on the slaw’s cool-sour complement to the spicy jackfruit, and bestowed upon me his uneaten pickle spear. Gotta love them pickles. Not quite satiated and verging on a lower weight than preferred lately on my daily weigh-ins, I decided to indulge in a slice of vegan AND gluten-free Coconut Cream Pie. Allegedly shared between Connor and I, let’s face it: I ate a good majority of the scrumptious wedge. The not-too-sweet smooth base lay atop a nutty, chewy crust, all sprinkled with toasted coconut and accompanied by two dollops of whipped cream. I honestly can’t even formulate words for how positively divine this pie tasted, but I can inform you that it cropped up in my dreams that night. Meal Checklist: Protein—beans in chili, black beans on salad. Whole Grain—I guess none…I didn’t even realize it until now! Vegetables—tomatoes, onions, red peppers, corn, avocado. Leafy Green—kale, romaine, arugula. Small Plates: Tomato dahl topped with cilantro, Fresh CSA salad with Asian-style dressing, and a Samosa patty with sweet-and-sour chutney. Entree: Veggie “noodles” with a creamy ginger-curry cashew sauce with fresh seasonal veggies such as Napa cabbage, red bell peppers, and more from our CSA. Dessert: Rose-saffron cashew ice cream with fresh fruit. The Green Owl also sources LOADS of local produce, including tofu from the Simple Soyman (who also fulfills my own tofu needs), produce from the restaurant owner’s parent’s farm in New Glarus called Caparello Gardens, and Kombucha from the NessAlla brewery just down the street from the Owl. Deservedly named Madison’s Favorite New Restaurant of 2010 by the Isthmus and given the title of Best Restaurant Interior of 2010 by Madison.com, the Green Owl continues to assert its presence as a thriving vegetarian restaurant in a relaxing, welcoming atmosphere churning out reliably yummy eats. 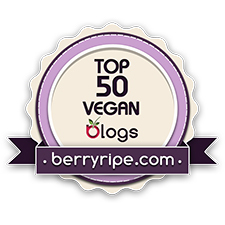 (I found your blog via some link during vegan mofo). Greetings from Germany (where you can picture me salivating over the pic of this gluten free coconut cream pie (and the rest of the menue) without the least chance of indulging. But as I share your philosophy concerning whole grain, local, vegan food (gluten free out of necessity) I dare say I’ll survive without the cake. Wow, I’m thrilled to have reached German bloggers! That coconut cream pie IS utter perfection. I live in St. Paul, MN and have been known to swing into Madison on my way to visiting my folks in WI JUST to see if they have coconut cream pie available. The banana cream is also amazing. Even if I lived in Europe, I would come back to Madison for this pie, so Minnesota is not too far in retrospect! Although I hail from RI, having a vegan daughter living in Madison, I enjoy our dinners at the Green Owl whenever I’m in town. Love that coconut cream pie! Thanks for the tantalizingly lovely write-up! I’m actually hoping to go to RI for college! Hopefully, there will be two Green Owl lovers there by this time next year.